A dog is man's best friend - not only do they provide great companionship, but also endless entertainment. 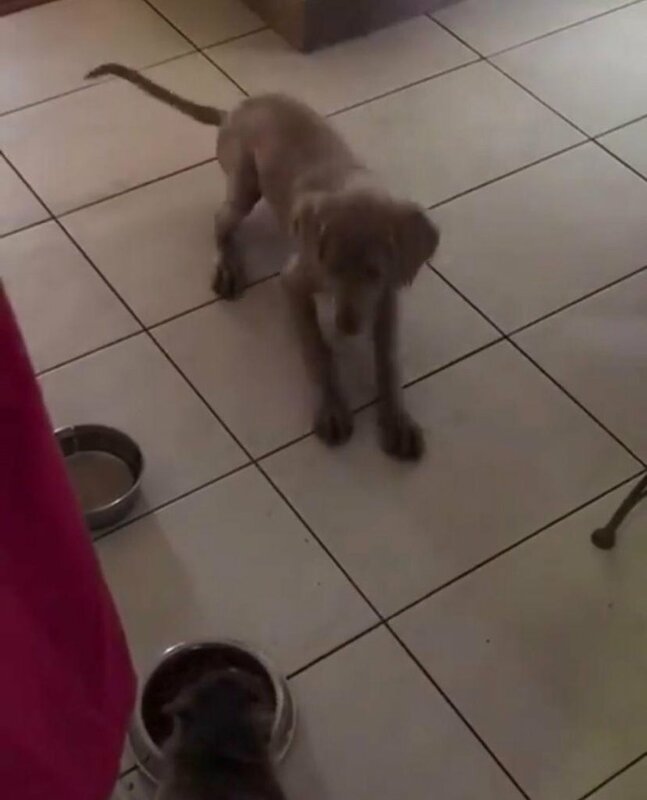 Martin Bester surprised us all when he said he arrived at home and an adorable Weimaraner waited at the door for him. However, Ripley sometimes does not understand things in the household. Ripley threw the cutest and most hilarious tantrum when she saw Bella the cat eating from her food bowl - yes, the cat was eating from the dog's food bowl, much to the annoyance of Ripley. What happened next will likely leave you in stitches! After seeing this, which animal do you think is smarter, the dog or the cat?